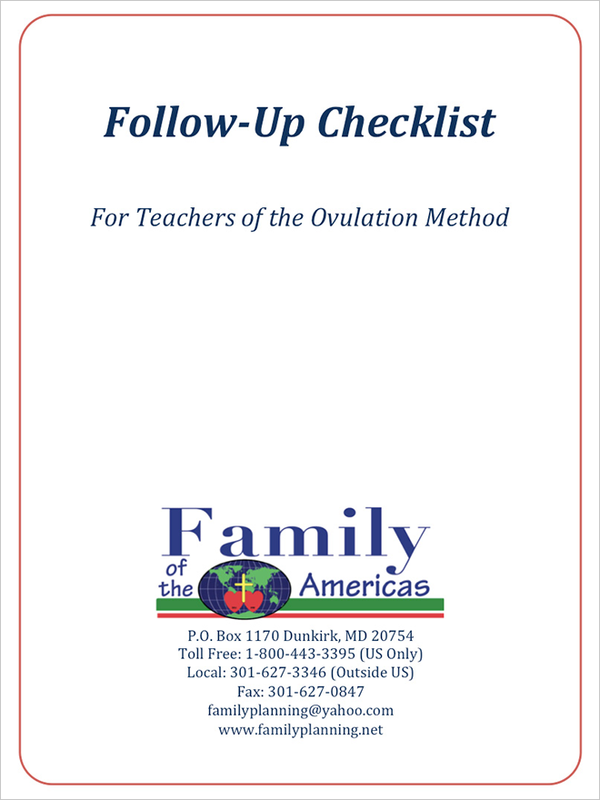 This document was composed and reviewed by the most experienced teachers of the Ovulation Method around the world. It is essential for every teacher to have in her hand when she is conducting client follow up. It will remind her to ask all the pertinent questions and make all the necessary statements so that couples will follow the Ovulation Method of NFP correctly. This will minimize teacher errors.